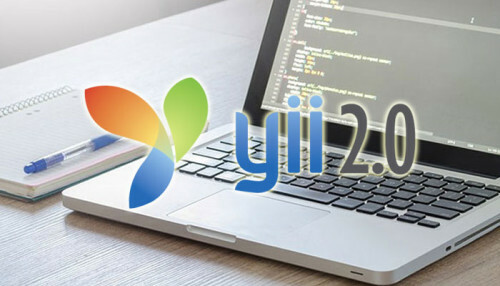 Yii2 is an open source PHP framework which has been developed to promote clean designs and fast web development. OdiTek Solutions is one of the most reliable yii2 PHP framework development company providing you precise solutions to build active websites and web applications without spending much time and employing competent resources. We endeavor hard to simplify development as well as customization issues by providing the robust yii2 framework to the placed requirement. We develop apps on Yii2 PHP framework that provides small-scale and start-up businesses with the perfect initiation in the market. Yii2 Web Application Development: We offer great Yii Website development services in order to develop a brilliant website. Our PHP developers have comprehensive knowledge of different functional parameters of Yii2 framework that enables them to develop highly effective web-based apps. Yii2 CMS Development: We deliver reliable and secure Yii framework which is really effective and performs in a supreme manner. Enterprise Solution for Yii2 Framework: Grab entire solution to your enterprise-related issues. The solutions help in fast time and reduced costs for life cycle. Yii2 Payment Gateway Integration: We provide robust and secure payment gateway integration services for a smooth online transaction through the website. Yii2 Modules/Plug-in Installation: Being a Yii2 development company, we are proficient in providing excellent custom plug-in installation and configuration services. Yii2 Shopping Cart Development: Our PHP Yii2 developers offer the superlative shopping cart development solutions to make the checkout and payment process smooth. Incorporation & Design Theme: Its high time that you enhance your particular E-commerce website with our dazzling themes of Yii2 that absolutely suits your business requirements. Migration Solution of Yii: It’s really simple to migrate between various Yii platforms with the sole availability of the perfect Yii Migration solutions. Yii2 Maintenance and Support: The clients can hire our Yii2 developers as we are providing ongoing support and maintenance services even after delivery of the project. OdiTek provides wide expertise in Yii2 web development for its customers. Our team has knowledge of all the components of yii2. Our Yii2 developers have a knack in applying various functional properties of this framework such as AJAX compatibility, access control, caching support, scaffolding, authentication, and MVC, to build the industry-leading web solutions for several industry verticals.